Don’t mistake Scott Redrick’s office for a dispensary. Redrick feels that’s one of the best aspects of the availability of medical marijuana. Redrick wasn’t initially in favor of legalizing medical marijuana. He credits a debate held locally in October 2014 between Tampa attorney and medical marijuana advocate John Morgan and then-state representative Jimmie T. Smith with beginning to change his mind. “I was against it at that point, but then I thought: You know, he has some pretty good points. Let me research it a little more,” Redrick said. After doing that research and taking a course available to physicians, he decided it could help people. The drug is available in two forms. Low-THC CDB is a cannabinoid that contains little or no tetrahydrocannabinol (THC), the cannabinoid compound in the cannabis plant that can produce psychoactive effects. The second is simply referred to as medical marijuana; it contains THC and is available in a variety of forms, including liquid for vaporization, topical creams, injections, and nasal spray. The regulations governing medical marijuana in Florida include a list of 12 conditions for which physicians can prescribe either form. If physicians want to prescribe it for an unlisted condition, there’s a lot of paperwork to do. Low-THC is prescribed mostly for neurological conditions, such as Parkinson’s and ALS, Redrick said. Medical marijuana is used for the rest. The most commonly used form is inhalation of vapor, Redrick said. Accessing medical marijuana still isn’t cheap or easy. An initial visit to a prescribing doctor costs between $200 and $300; Redrick’s process requires a full exam, medical history, and a diagnosis of a qualifying condition. If a patient qualifies and receives a prescription, it takes about a month for the state to process the paperwork and issue a medical marijuana card. The doctor’s orders are good for 70 days; then a follow-up visit is necessary, at a cost of roughly $100. Many Florida counties, including Citrus, still lack dispensaries — so once patients have a card allowing them to purchase medical marijuana, they have to go to a dispensary to fill the prescription. 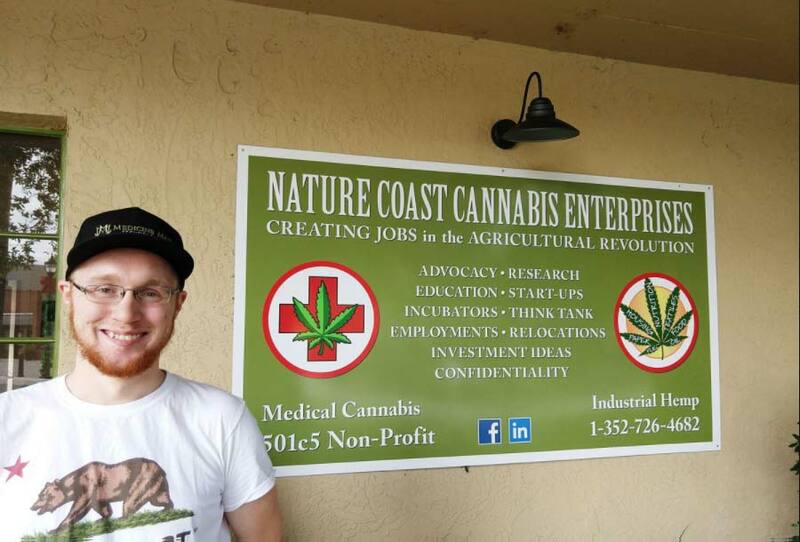 The nearest dispensary to Citrus County is in The Villages; there are also dispensaries in Gainesville and Tampa. Doctors are also having difficulty getting guidance from the state, Redrick said. “It’s a big mess,” he said. “Between Jan. 1 and now, I have called the Board of Health, Department of Medicine, the Office of Medical Marijuana probably 30 times and left messages for them to call me back. Nobody’s ever answered the phone. I’ve never gotten a return phone call — anything. It’s probably because they don’t have enough people or enough funding. That slowness may be partially responsible for the appearance of other businesses offering products containing THC. Healthy Hempies, a shop in downtown Inverness, offers a variety of topical and orally administered products containing “four 100 percent legal cannabinoids,” according to owner and operator Damian Grob. It’s not a dispensary, Grob said, and he’s not selling medical marijuana. Many customers pick up CBD-infused salve to attempt to alleviate chronic pain, Grob said. “The biggest things that it sells for are neuropathy, osteoarthritis, lymphedema, and fibromyalgia,” he said. Ron Watson, executive director of the Florida Society of Cannabis Physicians, said products like those Grob carries are only vaguely addressed by Florida’s new laws. But since marijuana — including all forms legalized by states for medical purposes — is still federally illegal, the states that have legalized medical marijuana are already breaking that rule. Several states, including Florida, have also legalized the production of industrial hemp. Anything containing 0.3 percent or less THC is considered hemp.